Quilting with panels is a great way to add large designs to a quilt or even use as a quilt by themselves by just adding a simple border. ZJ Humbach shows you some of the many different kinds of panel available and gives you tips for working with them. ZJ first shows what some of the different quilt fabric panels can look like. She explains that some of the panels come in bundles with fat quarters of fabric that are either part of the same collection of fabric or match or contrast with the main fabric panel. 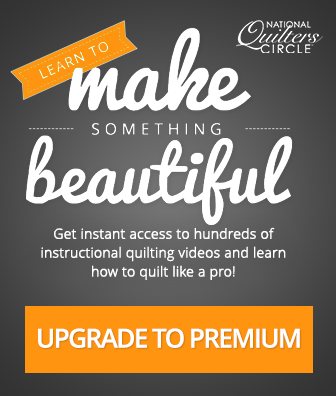 Those additional fabrics can then be used as a border and a quick and easy quilt can be put together in no time at all. ZJ also shares that whether you plan to turn them into a quilt or not, panels can be a great way to practice quilting- whether on a long arm or a conventional sewing machine. 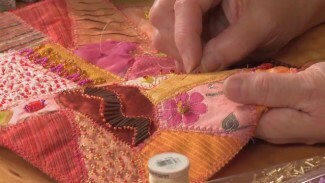 She explains that when quilting with panels, different quilting techniques can be used in the different various areas of the fabric panel. ZJ also shares more ideas for quilting with panels, which include cutting apart the different squares or rectangles of the panel, depending on the fabric design, and making a quiet book or soft fabric book for a little one. Also depending on the fabric design and panel size, fabric panels can easily be turned into a quick pillow. After talking about some of the many types and sizes of fabric panels available, ZJ shares tips on how to decide how to quilt a fabric panel. While assembling a quilt using quilt piecing can naturally offer some inspiration for quilting given how the blocks come together; quilting with different fabrics like a fabric panel can be trickier. ZJ explains how you can pick the larger design areas of a quilt panel and quilt around them to highlight the design and then fill in the background area with filler stitches.